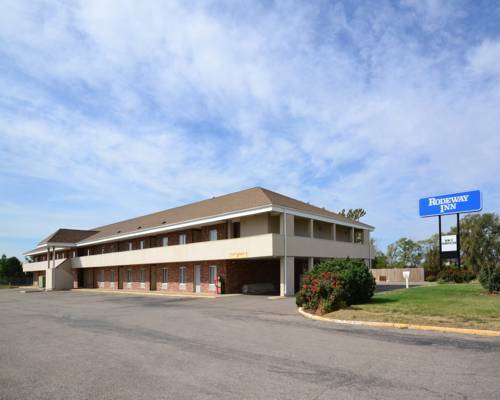 If you want great value while you're on the road in Nebraska, Rodeway Inn hotel in Lincoln. Our smoke-free hotel is close close to the University of Nebraska, Historic Haymarket and Lied Center of Performing Arts. Every guest at our pet-friendly hotel can enjoy our free deluxe breakfast, free weekday newspaper and a laundry facility. Unwind in one of our guest rooms, all of which feature a coffee maker, refrigerator, microwave and a TV. Also, earn rewards including free nights and gift cards with our Choice Privileges Rewards program. This is a pet-friendly hotel. You no longer need to travel to Italy for a romantic evening paddle in gondola boat, avoiding upwind mech-fountain. In The Heartland of America Park.